Home > Uncategorized	> National Book Awards Longlist Finalist! National Book Awards Longlist Finalist! It’s been an amazing two weeks – or actually, holy crap, only 10 days – since my book launched. I found out two days ago that my book made it onto the Longlist for the National Book Award in Nonfiction, along with 9 other books. I haven’t had time to read the other books, but I did want to mention that last year’s NBA Nonfiction winner was Ta-Nehisi Coates’s excellent Between The World And Me, which I highly recommend. What’s exciting about being on this list is that it means the ideas in the book will get exposure. So many really excellent books never get read by many people, because of bad timing, or small marketing and publicity budgets, or just bad luck. I’m so lucky to have a book that’s been given an extremely generous amount of all of that. 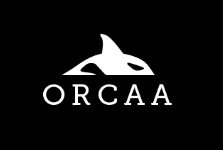 This week I’ve been busy on the West Coast going to book events and giving talks. My last one is today at noon in Berkeley (820 Barrows Hall). I’ve gotten almost no sleep what with jetlag, weird traveling requirements, and pure adrenaline, but it’s been absolutely incredible. It’s been especially fantastic to meet the people who come to these events, which so far have taken place in Seattle, the San Francisco area, and a couple in New York last week. It seems like almost every person has something to tell me, a story of algorithms they encounter at work, or that their friends do, or questions about how to get a job that they can feel proud of in data science. Some of them are lawyers offering to talk to me about FOIA law or the Privacy Act. Incredible. Some people who have read the book already will tell me it really changed their perspective, and others will tell me they’ve been waiting years for this book to be written, because it echoes their experience and long-held skepticism. What?! Do you guys know what that means? It means the book is working! In any case I’m overwhelmed and grateful to be able to talk to all of them and to start and continue the conversation. It’s never been more timely, and although I had hoped to get the book out sooner, I actually ended up thinking the timing couldn’t be better. There’s only one thing. I wish I could send a message back to myself four years ago, when I decided to write the book, or even better, to Christmas 2014, when I was convinced it was an unwritable book. I’d just want to send some encouragement, a signal that it would eventually cohere. Those were some dark days, as my family can attest to. Luckily for me, I had good friends who kept me from losing all hope. Thank you, blog readers, and thank you friends, and thank you Jordan and Laura especially, you guys are the best! Wow! That’s awesome. Very tough competition but even to make the list is amazing. I heard you speak at the iapp conference…. I was totally blown away! Bought the book. I am only a couple of chapters in…hard to go to the iapp sessions when i want to continue reading. Book is totally working.. I’ll be FOIAing! And following. Congratulations! I got the book a couple of days ago and put at the top of my queue; it’s the next one up. Do you plan some translations ? A French version would be much appreciated ! 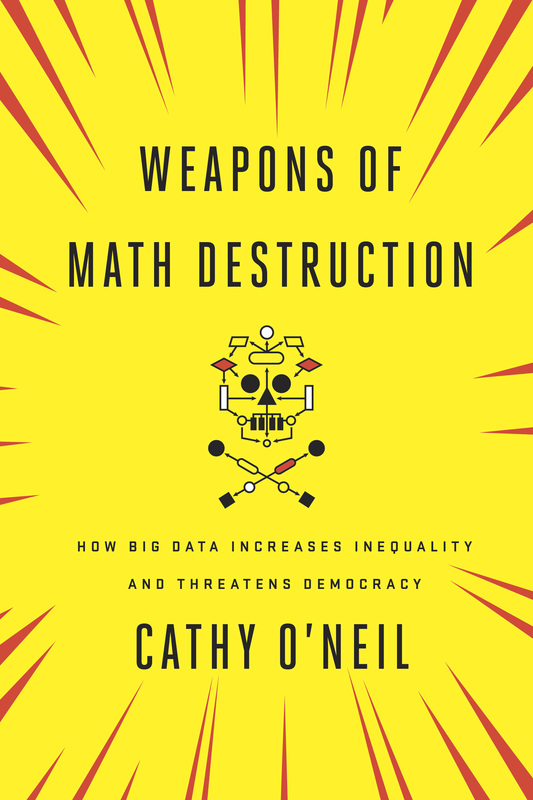 Weapons of Math Destruction is the best book I’ve read in quite some time. On par with Makers and Takers. Congratulations Cathy. The book should be read by everyone. It provides a context for so many happenings which appear inexplicable.